Electrical Instrumentation is central to all aspects of the O’KEEFFE Electrical service. Our wealth of experience and confidence in all aspects of both electrical and instrumentation work in hazardous areas, provides our clients with the reliability and quality of service upon which our reputation in the Irish market has been built. Throughout Ireland, our customers can rely on us to demonstrate operational excellence through our attention to the performance of the most complex shutdowns and upgrades with turnarounds executed safely and efficiently, routinely in hazardous areas with ATEX risk assessment, and management. OKEEFFE ELECTRICAL provides reliable, efficient specialist electrical instrumentation services to the process industries in Ireland including the installation of stainless steel instrumentation pipe fitting. Our dedicated team of electrical instrument personnel are trained and familiar with all aspects of hazardous area installation and maintenance, completing training on an on-going basis. 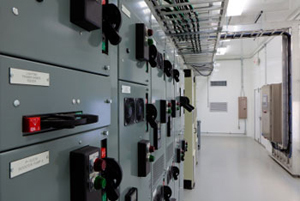 We provide Electrical Instrumentation installation and maintenance services across a variety of projects. Hazardous area electrical and instrumentation installation services in compliance with ATEX guidelines and compliant with ET105:2011. Intrinsic safety assessments and maintenance. Installation of Intrinsically safe equipment in hazardous areas. Completion of all testing in relation to new electrical installations, and issuance of certificates. Sub-system certification and periodic inspections. Installation and on-line monitoring of remote monitoring equipment, networks services, data collection and systems management. Commissioning, calibration, qualification and validation of instrument systems within a regulated environment. Contract CompEx certified manpower resources. OKEEFFE ELECTRICAL is fully accredited member of the “The Safe Electric Scheme” sponsored by the Commission for Energy Regulation in Ireland and a registered Electrical Contractor with the RECI, Register of Electrical Contractors of Ireland.